We, at O.T. Trans, Inc., are pleased to have this opportunity to introduce you to our company and its product lines. O.T. Trans, Inc., recently awarded the NMSDC Space Coast Minority Business Enterprise of 2008, is a minority owned and operated business with 5,500 square feet available for warehousing in Melbourne, Florida. O.T. Trans, Inc. is a distributor of industrial equipment and supplies representing thousands of manufacturers for packaging supplies, material handling products, safety products, fabrication metals, electrical and many more since 1993. O.T. 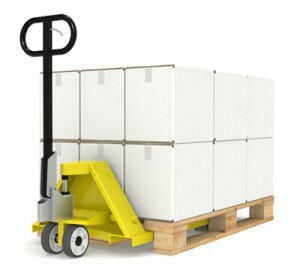 Trans, Inc. can provide customized procurement and deliveries tailored to specific client needs. The unique ability to provide value added services and distribution of quality products from over 4,000 manufacturers, makes O.T. Trans, Inc. a preferred vendor for corporate clients across the United States. We hope we can be of service to you and your company. If you have any questions or concerns please do not hesitate to call our offices. Full EDI capability accepting all major credit cards. Services and distribution of products from over 4,000 manufacturers. Self Certified Small Disadvantaged Business. NMSDC of Florida and State Certified Minority SDB/MBE. NMSDC National Minority Business of the Year 1998. NMSDC of Florida MBE Supplier of the Year 2000, 2003, 2005 &amp; 2008. Serving greater Florida since 1993! Purchasing and billing tailored to meet customers needs.